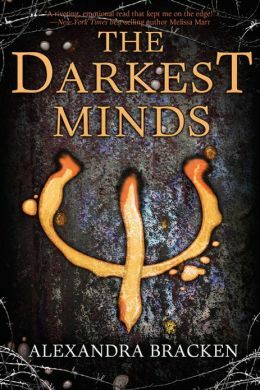 The Darkest Minds by Alexandra Bracken was an exceptional YA read. This novel will keep your mind grasping at straws, and your eyeballs devouring the words on the page. These rehabilitation camps, however, are more like Jewish concentration camps. Kids are herded into a classifying colored group based on what ability they posses: Blue=telekinetic, Green=sorters, good at math, photographic memories, Yellow=control electricity, Red=fire, Orange=the most dangerous of all…the ability to enter and control your mind. Thus, our main Character Ruby was taken and placed in a camp the day after her tenth birthday. She is labeled as a Green, but she has a secret…she was wrongly sorted. The day of her tenth birthday, she did the unthinkable—she erased herself from her parents’ minds. It was an accident, and she didn’t know that she was doing it, but her parents freaked nonetheless when they woke up to a strange little girl in their house that they had no recollection of. And poor Ruby had no idea what she had done; but still, the PSF’s (Psi Special Forces) promptly came and took her away. When Ruby manages to make the doctor at the camp sorting her believe that she is a Green, she gets placed with the other Green girls at camp. Eventually the Oranges, Yellows, and Reds disappear…they are too dangerous to have around, for not all Psi kids are good and innocent. There have been many incidents of Reds setting fires, Yellows blowing things up, and Oranges convincing the PSFs to open fire on their comrades. Ruby, like all of the other children of her generation hates her life, and wishes more than anything that it’s just one big nightmare—but knowing deep down that it isn’t. This is her life now. But, one day while slaving away in the fields of the “self-sufficient” camp Ruby works at, the Calm Control goes off (a sort of dog whistle white noise that only Psi kids can hear), but this time it’s painful effects are worse than usual, debilitating her completely. 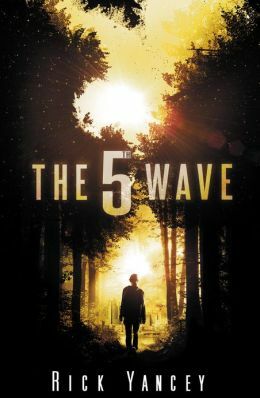 With the help of an odd source, Ruby manages to escape and eventually ends up with a ragtag group of kids who have also managed to escape the confines of camp. There’s Zu, a mute eleven-year-old Yellow girl, Charles “Chubs”, a studious and very cynical Blue, and Liam, the kind-hearted leader, with the purest soul, also a Blue. These four escapees are on a mission to find the Slip Kid, who is said to help other Psi kids get in touch with their parents (for not everyone’s parents flipped out and thought of their kids as monsters, wanting them sent far away from them). Sticking together, avoiding Skip Tracers (bounty-hunters, basically) and PSFs who will do anything to capture all kids and throw them into a camp, this team forms a special bond, slowly learning how to live again. And more importantly, to believe that living is actually worth the effort. That they are worth it. This harrowing story receives five out of five stars from me! The sequel, The Never Fade is set to be released in late October, and I cannot wait!